Customs officers foiled an attempt to smuggle marijuana in the International Arrivals Terminal Ngurah Rai Airport, Bali. Cannabis is carried by a person stateless Switzerland. People are male, named Marc Andre Wenger Neuchatel (51). He arrived in Bali with Air Asia from Kuala Lumpur, the morning around 01.00 am. Marc Andre Wenger Neuchatel is a restaurant owner in the country. He came to Bali from Kuala Lumpur Malaysia, bringing as much as 3.2 grams of marijuana. Arrest stems from the suspicion of Customs and Excise officers against Marc gestures. When luggage belonging to Marc checked using X-Ray, officers did not find any suspicious object. Examination continues. Officers checking Marc's body, and then that was found wrapped in a plastic clip that tissue. Contained in the plastic piece that turns brown crop is marijuana weighing 3.2 grams. 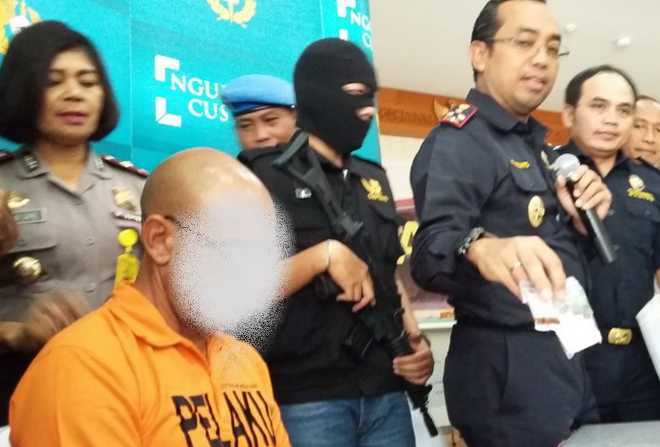 The above actions, the suspect allegedly violated Undangentang narcotics with a maximum penalty of capital punishment, life imprisonment or a minimum term of imprisonment of five (5) years and a maximum of 20 years and fined.